Since 2005, Norbury Electric has been a premier provider of electrical services in the Carthage, MO area. Our friendly and professional staff strive to provide you with quality service and reasonable prices for all of your electrical needs. We work with residential, commercial, and industrial electrical customers, no matter the scope of nature of the job. Thinking about upgrading your home’s lighting to energy-efficient LEDs? Need to upgrade the breaker panel for your growing business? Looking for a millwright to handle the assembly and calibration of your industrial equipment? It pays to trust a qualified electrician in Carthage, MO from Norbury Electric! We’re standing by, ready to deliver any and all electrical services your home, business or industrial facility requires to function efficiently. No electrical job is too big or too small, and you can rest assured we’re acting with safety and diligence on every jobsite. 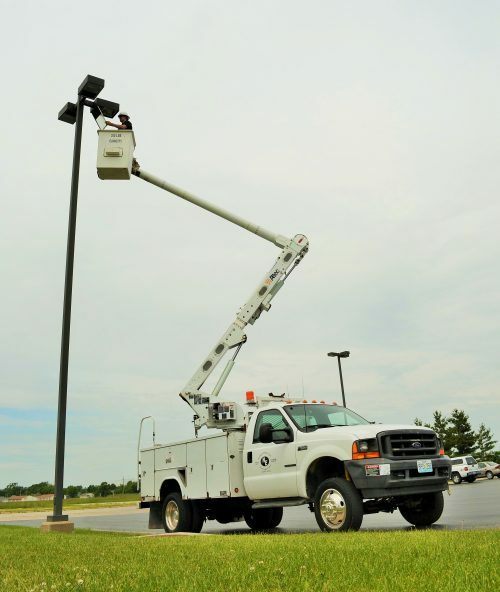 Along with providing a full range of electrical services, our electricians in Carthage, MO also offer specialty services that make us invaluable to customers—namely thermal imaging. We use thermal cameras to detect issues in your wiring and breaker boxes, to pinpoint faults and impending failures before they occur. This enables us to provide preventative maintenance on a scale other electrical companies can only dream of! On top of this, we’re also your LED retrofit specialists, facilitating new LED installations indoors and out, no matter the fixture or application. We’re all about creating savings for our customers and providing them with the most value for their dollar when they call us for service. See for yourself and give us a call the next time you need electrical services! Our services are available to residential, commercial and industrial customers. We’ve been in business since 1998 and we’re backed by more than 70 years of experience! We’re fully licensed, bonded and insured for your peace of mind. Our skilled electricians always come equipped to tackle any job, with an emphasis on safety. We offer free consultations on all of our services. Don’t leave your electrical needs to chance—instead, get in touch with the professionals who can assess and resolve them safely and effectively. Contact Norbury Electric’s experienced team today.